This highly versatile property is on the market at £1,975,000 and is set in the heart of the Tamar Valley Area of Outstanding Natural Beauty and World Heritage Site which provides a tranquil haven and delightful setting. Based on an historic farmstead with a characterful period stone farmhouse thought to date in parts from the late Thirteenth Century and with many Sixteenth and Eighteenth Century features. There is a converted adjoining barn which can be integrated into the main accommodation or used, as currently, as bed & breakfast/holiday accommodation. Both are set around a courtyard across which is a large former threshing barn used as a venue for weddings and music events. There is a further adjoining barn and to the rear of the courtyard sits a detached high quality holiday let. 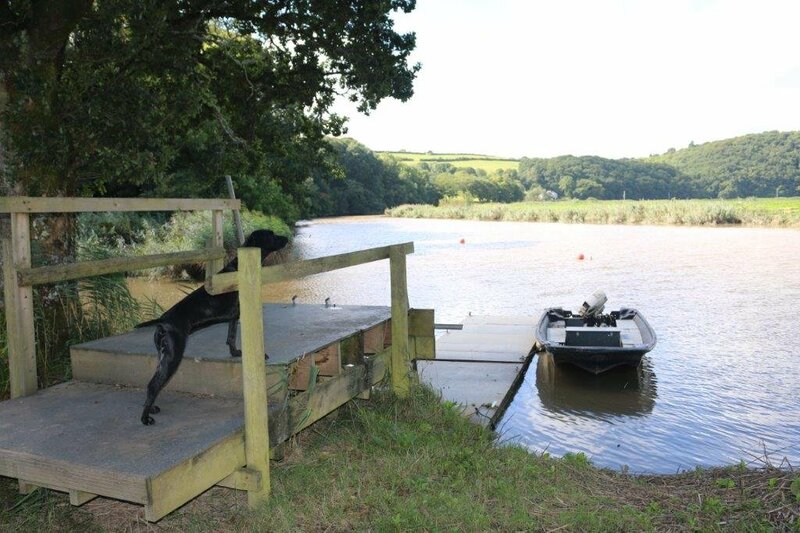 The property is set in truly delightful grounds of about 17.7 acres offering great variety and lovely walks down to the River Tamar, with its own granite quay, floating pontoon, slipway and riverside cabin, ideal for the boating enthusiast as well as for wildlife. Floating deep water moorings are also available to rent. The extensive grounds include gardens, wood, orchards, pasture, streams, ponds and a tractor shed. This unique property offers prospective purchasers a choice of enjoying it as an extensive private family home with possibilities for multiple family occupancy, or for concentrating on the holiday let business, or to continue with the well-established existing business of weddings and live music events with guest accommodation and camping. Music acts who have performed include George Ezra. For further information or to book an appointment to view please contact us on 01822 840606.